APS 6" Brushed Aluminum IBoards offer the widest stepping area with non-slip stepping pads ensuring you and your passengers can safely hop in and out of your ride! Offered in a brushed polished finish to ensure there is an option to meet you style! 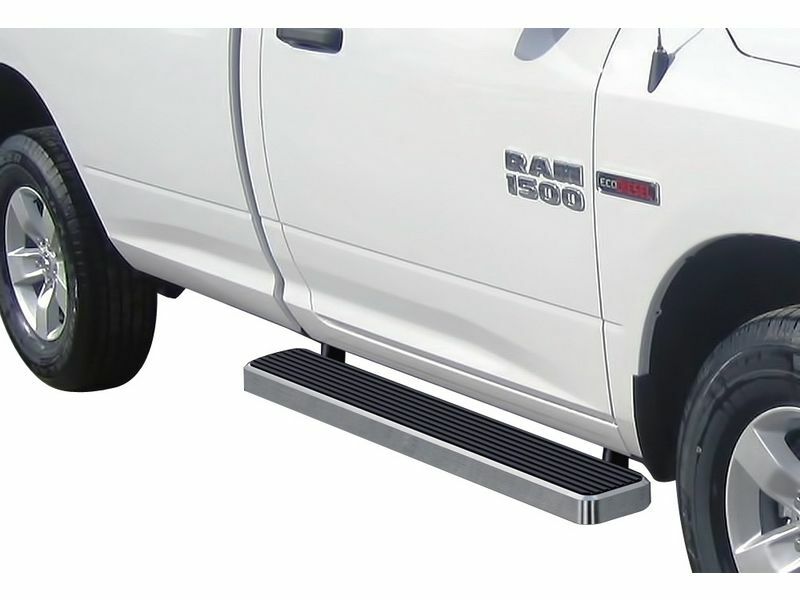 These running boards are a solid, one piece design with stepping pads that are secured down with rivets. Crafted out of 6061 aircraft aluminum, offers extreme durability and a high rust resistance so you can rest assured they will last a lifetime! Installation of the APS 6" Brushed Aluminum IBoards are easy and can be done in the comfort of your own home. Give or take an hour and these bad boys will be ready for you to boast around town! You have nothing to lose and everything to gain, order your new running boards today! APS 6” IBoards are backed by a one year warranty covering all defects in materials and workmanship. Install the APS 6" Brushed Aluminum IBoards yourself in the comfort of your own garage! It is an easy, DIY process. We suggest setting aside around an hour of your time for installation. Most applications require no drilling on most models, but installation instructions will be provided to ensure a proper install.